Read more about the book, read a chapter for free, read Gabriel Levin’s new introduction, and get information for book clubs and how to order at: http://FigTreeBooks.net/Compulsion. 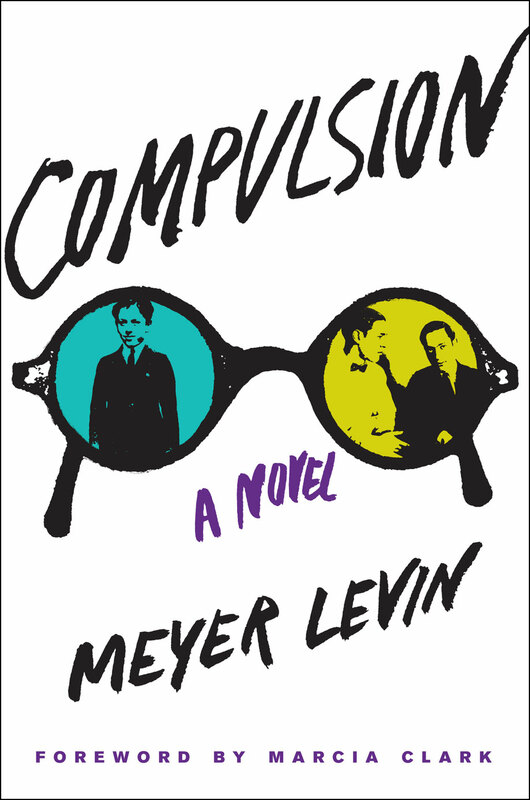 BEDFORD, NEW YORK (April 14, 2015) — When Meyer Levin’s COMPULSION was published by Simon & Schuster in 1956, Erle Stanley Gardner reviewed the book for The New York Times Book Review, calling it “a masterly achievement in literary craftsmanship.” This ground-breaking true crime novel, based on the sensational 1924 Leopold-Loeb child murder case, sold more than 1.1 million copies, won an Edgar Award, and was the basis for Levin’s own 1957 play adaptation and the 1959 film starring Orson Welles. It has since gone out of print. Now, another reading generation has the opportunity to experience the literary thrills of COMPULSION, which anticipated books such as Truman Capote’s In Cold Blood. Fig Tree Books LLC, , a new independent press with the mission to publish the best fiction of the American Jewish experience, will re-publish COMPULSION on April 14, 2015, with Foreword by New York Times bestselling crime novelist and attorney Marcia Clark, Preface by Meyer Levin and Introduction by Gabriel Levin, one of Meyer Levin’s sons. The book is a shocking fictionalized account of the murder of fourteen-year-old Bobby Franks by Nathan Leopold and Richard Loeb. The two older teenagers, part of Chicago’s elite Jewish society, kidnapped and killed the child for no evident reason other than the challenge of literally getting away with murder. The novel is narrated by Sid Silver, a budding journalist at the University of Chicago and a fictional proxy for Meyer Levin, who was a classmate of Leopold and Loeb and reported on their trial. But COMPULSION is much more than the recapitulation of a terrible crime – it is a complex and layered exploration of the minds of two young men who are fascinated with the philosophy of Friedrich Nietzsche’s Übermenschen (Supermen), who created their own values and believed that they lived above conventional morality. Devotees of mysteries, thrillers, and literary fiction will be mesmerized by COMPULSION. About the Author: Meyer Levin (1905-1981) was called by the Los Angeles Times “the most significant American Jewish writer of his time.” Norman Mailer referred to him as “one of the best American writers working in the realistic tradition.” Throughout his 60 years of professional work, Levin was a constant innovator, reinventing himself and stretching his literary style with remarkable versatility. When he died in 1981, he left behind a remarkable and diverse body of work that not only reflected the incredible life he led but chronicled the development of Jewish consciousness during the 20th century. Gabriel Levin has published five collections of poetry, most recently Coming Forth by Day (Carcanet, 2014) and a collection of essays The Dune’s Twisted Edge: Journeys in the Levant (The University of Chicago Press, 2013). He is also a translator whose works include a selection of Yehuda Halevi’s poetry, Poems from the Diwan (Anvil, 2002). He lives in Jerusalem. Marcia Clark began practicing law as a criminal defense attorney. She became a prosecutor in the Los Angeles District Attorney’s Office in 1981, and spent ten years in the Special Trials Unit where she handled a number of high profile cases prior to the O.J. Simpson case, including the prosecution of stalker/murderer Robert Bardo, whose conviction for the murder of actress Rebecca Schaeffer resulted in legislation that offered victims better protection from stalkers and increased punishment for offenders. She has published three novels which feature Los Angeles Special Trials prosecutor Rachel Knight – Guilt by Association, Guilt by Degrees, and Killer Ambition and is currently at work on her fourth novel.